This device 500ml capacity jar with volume indication. Double cone for bigger as well as smaller fruits. 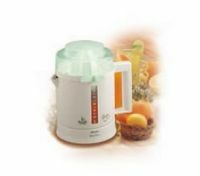 Also provides you Pulp Selector option for efficient juice extraction.The drip stop stops the dripping from the spout after juicing.For smooth or pulpy juice. To Recieve updates and possible rewards for Philips HR2774 please sign in. To Recieve updates and possible rewards for Juicer Mixer Grinder (JMG) please sign in.